Where Can You Use an Aerial Lift? 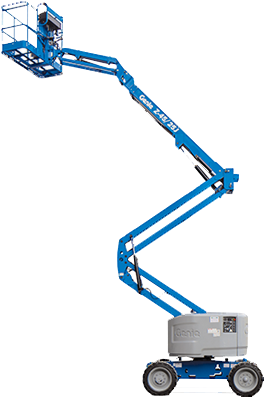 Aerial lifts are used in a diversity of settings and in a number of different industries. From warehouses and construction sites to material handling facilities, an aerial lift can be operated just about anywhere as long as OSHA standards and manufacturer guidelines are followed to ensure it’s used correctly and safely. However, be sure only to operate the aerial lift on a stable surface to avoid tip-overs and falls. Aerial lifts can be used near power lines; however, there needs to be at least a 10 foot clearance from the nearest overhead line. OSHA holds this recommendation to reduce the risk for electrocution. This rule should also be followed when working near other overhead objects, such as wiring, pipers, ducts, and other equipment. When using an aerial lift, overhead awareness must be followed at all times. Aerial lifts can be operated when proper clearance is available to avoid injuries. There needs to be adequate clearance around the lift and bucket in all directions to avoid caught ins and crushing. This will also help reduce the risk for objects striking anyone while in the basket. Not to mention, there needs to be enough clearance to safely maneuver the lift and bucket in all directions. Cones and other safety devices should be used to keep the area clear from those who may walk under the lift. 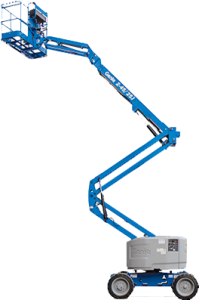 Aerial lifts must only be used in accordance with the manufacturer’s guidelines. If a lift is not compatible with certain surfaces, working conditions, load capacitates, heights, or other factors, don’t take the risk. In addition, an aerial lift must be operated by those holding proper training and certification. CertifyMeOnline recommends only allowing those certified to operate the lift as they will abide by OSHA standards for safety to avoid errors and negligence that can result in injuries and death. This entry was posted in Aerial Lift Certification, Aerial Lift Training on November 7, 2014 by admin.